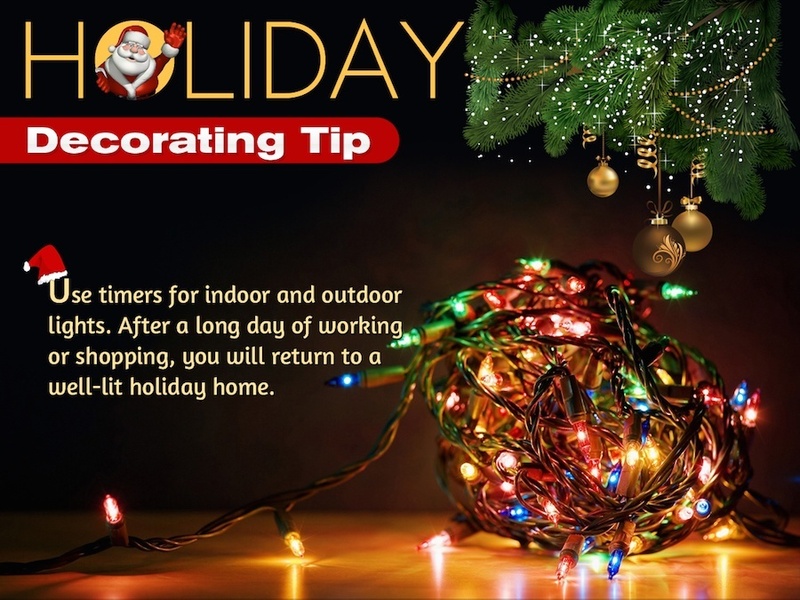 The holidays are the most fun time of year for decorating your home. This time of year, you can really let your imagination go and create something magical. There are two sides to decorating, and we hope to fuel the fire for your creativity. We’ve come up with our top five must-haves for magical holiday decor, and top five must-haves for holiday supplies. 1. First things first, bring in some green. Holiday greenery can include pine branches, rosemary, leaves and pine cones in the fall, and mistletoe and poinsettias in the winter. The greens and flowers look great placed on the mantel, draped over a doorway, strung along the railing, or as a centerpiece on the dining table. 2. In design and magic, sparkle is a key element. Twinkle lights, candles, mercury glass and tinsel catch the light and the imagination. Especially at night, the sparkle will help to give your home the perfect glow for the holidays. 3. Your home should smell as good as it looks, but we don’t all have the time to spend baking cookies and apple pie. Candles and plug-in room fragrances go a long way to inspire holiday nostalgia. 4. For all the rooms in your home, texture makes the space warm and inviting. Winter is chilly and calls for warm throws to be close at hand. Add a thick throw to the couch, the guest bed, and in the master bedroom. Look for soft chenille, cashmere, and wool plaid throw blankets. 5. There is a certain magic that only Grandma can create. What was the family holiday tradition that you grew up with? If it was wrapping gifts, be sure to have a wrap station set up in the living room. If it was baking cookies, set aside family time to make enough cookies to give away as gifts. The old fashioned ties to family are what makes the season more magical than anything else. While Houdini may not want to give away his secrets, we will tell you about the secrets of decorating for the holidays. These are the little things that make a big difference in setting the right mood from Halloween to New Year’s. 1. Power is everything. During the holidays you will need to have more things plugged in than usual. Be sure to invest in power saving strips so that everything from the lights to the heated blanket can be plugged in. 2. During the holidays there are lots of things to turn on. Invest in timers for your indoor and outdoor lights. After a long day it’s nice to come home to a well lit holiday home. 3. A little spool of wire goes a long way. This will help when hanging garland, lights, and mistletoe. If you have a lot of cords going every which way, use a little wire to keep everything nice and neat. You can find this at almost any hardware or craft store. 4. Adhesive hooks will allow you to hang wreaths, holiday art and other decor without marking up your walls. It’s nice to decorate, but not if it will leave little holes all around your home. 5. When the season is over, keep everything organized. Save boxes that lights and ornaments came in. Invest in clear bins and labels so that everything can be packed away until it’s time to deck the halls once again. With this practical and magical inspiration you can turn your home into a magnificent wonderland. Let your imagination go and invite friends and family over to create some amazing holiday memories. Does your home need a little more than decor to get it ready for the holidays? Request an estimate on new floors, home painting and repair, or a remodel. Click here or call 972-377-7600.